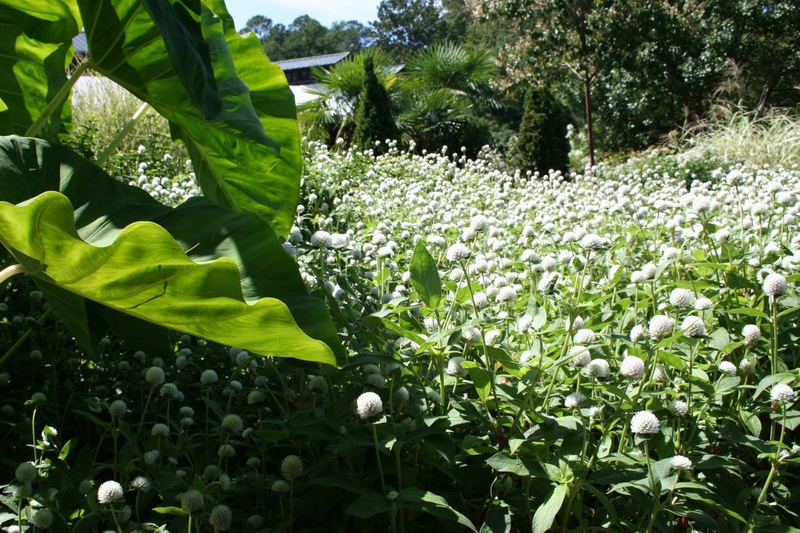 Sun-drenched mass planting of white Gomphrena globosa (globe amaranth) in the White Garden at Duke Gardens yesterday. My husband took the photograph of the bee. White Gomphrena globosa (globe amaranth). 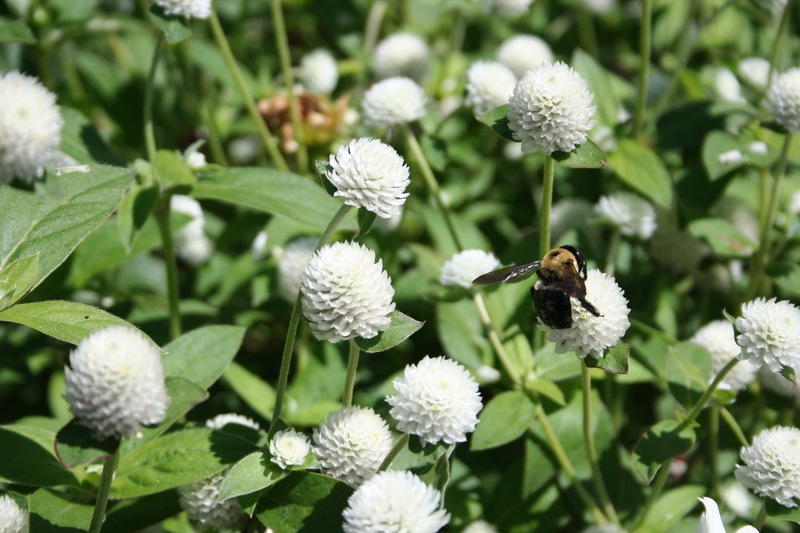 This entry was posted in garden and tagged Gomphrena globosa (globe amaranth), Sarah P. Duke Gardens, wordless wednesday on September 16, 2015 by pbmgarden. 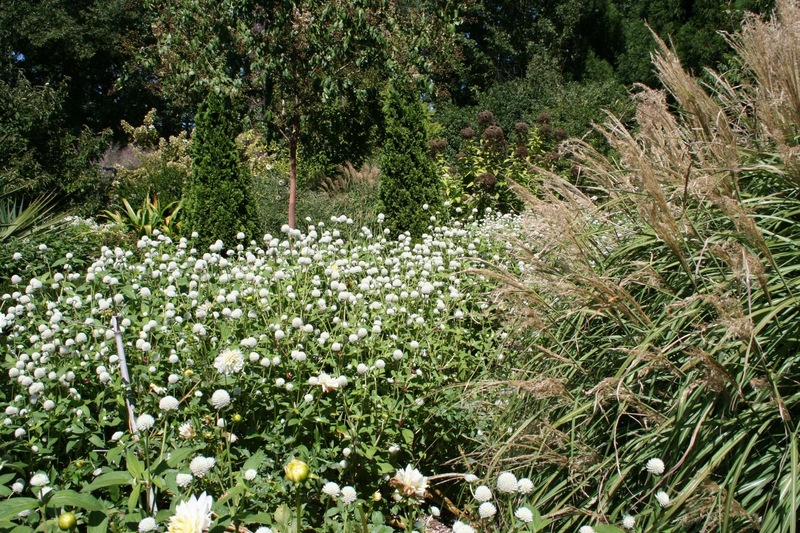 Wow, that looks wonderful, I often think of Dukes garden, I’m glad it wasn’t so humid on your visit this weekend. It was a pretty day. We were there less than an hour but it was a rejuvenating visit. Stunning shots of a very fun plant. I’ve never seen white Gomphrenas en masse like that before. Nice. Hi Beth, I don’t think I’ve ever seem Gomphrenas used so ambitiously either. Quite a statement. My 2 or 3 in pots looks very tired by comparison. Hi Matt. 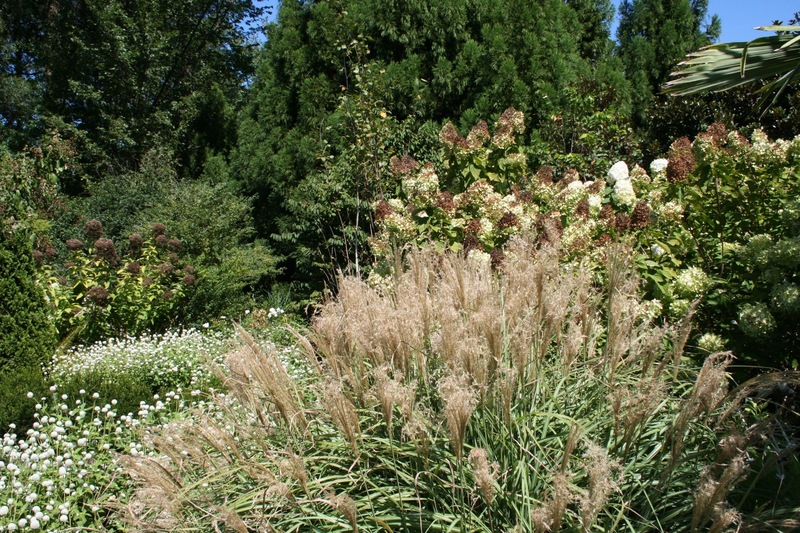 I planted several this year that are looking terrible after our dry summer, but this large grouping is impressive. Never seen Gomphrena in mass like this, or in white. Looks wonderful! Same here, but I like it. 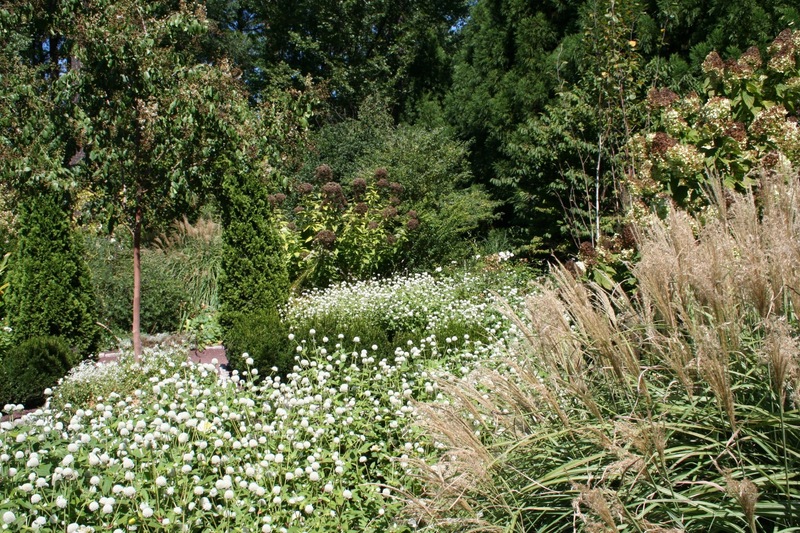 They really made white work so effectively in their garden design. I love the inclusion of the bee in your photos. 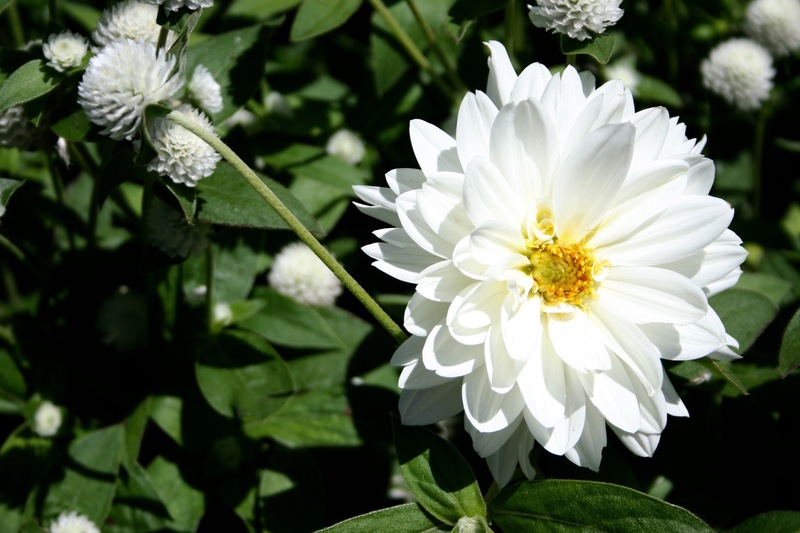 Yes, I think a white garden is special. It really was pretty there earlier in the summer with white hydrangeas blooming everywhere. I really like the Gomphrena though also.